Following the publication of Volume 31, Issue 1, the New Theology Review is suspending publication of the journal. Therefore, submissions are no longer being accepted. For the time being, volumes 10 through 30 can be accessed at http://newtheologyreview.org/index.php/ntr/issue/archive. A notice will be posted when the archives have been migrated to a new location. New Theology Review is a Catholic journal of theology and ministry published by Catholic Theological Union through the Paul Bechtold Library. Its mission is to serve the Church by providing, through the publication of articles, a forum for theologians and pastoral ministersto engage the Catholic tradition in respectful, constructive, and critical dialogue. Photo credit. James Hollingsworth. 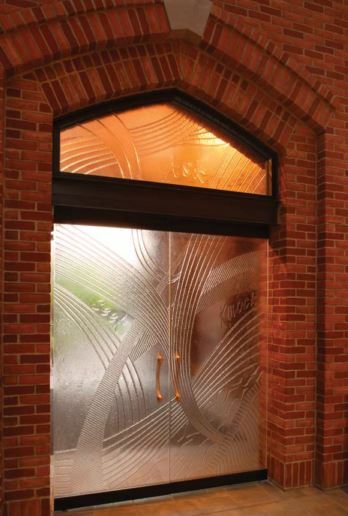 "Christ Doors--Solanus Center." From Journey to Holiness: A Pilgrimage through the Solanus Casey Center, by Edward Foley with photography by James Hollingsworth (Detroit: The Province of St. Joseph, 2007). Used by permission.